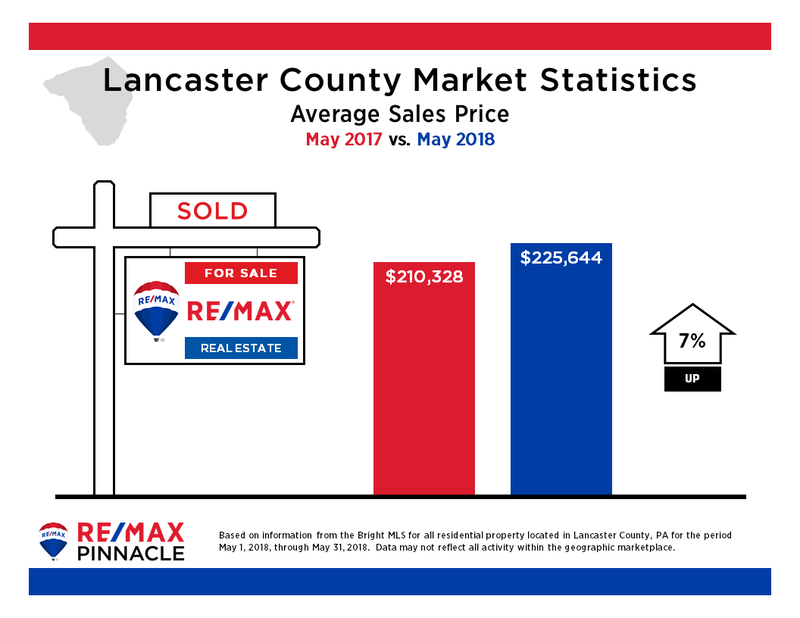 Average Sales Price – We cracked the two and a quarter mark for the first time ever. Up 7% from last May. This healthy rise is mainly due to extremely low inventory levels which don’t appear to be going up anytime soon. 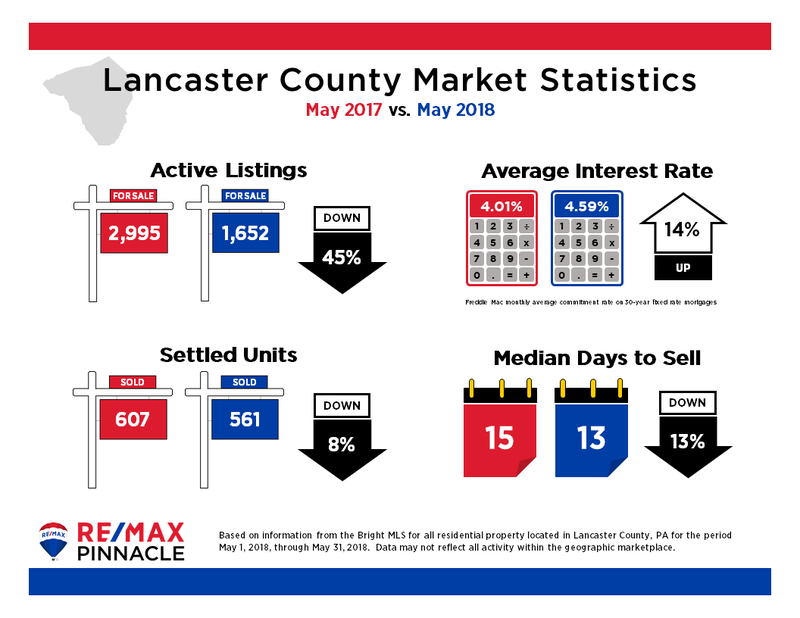 Active Listings – If there is one problem with this month’s numbers, it’s right here. Down 45% from last year. Buyers are finding it difficult to find what they’re looking for and when they do, it’s gone or they find themselves in a multiple offer situation. 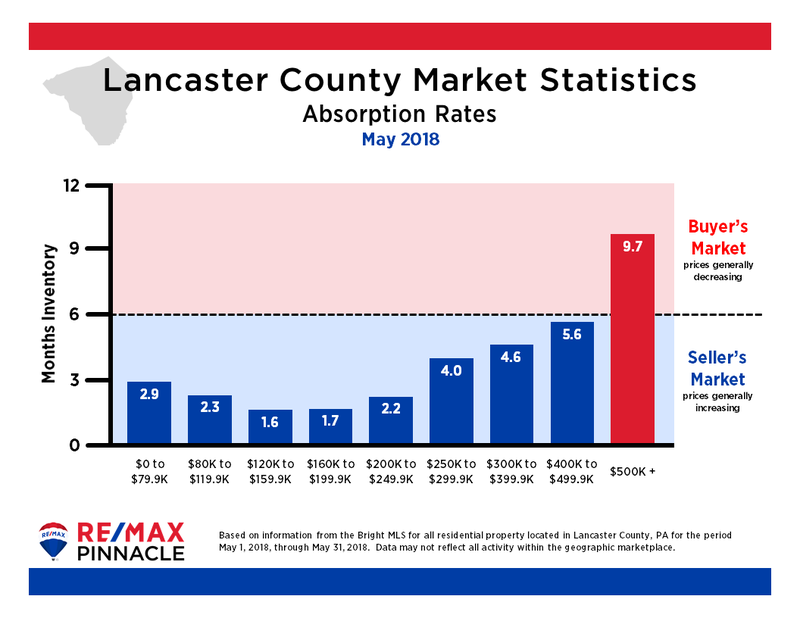 Settled Units – While it’s a little disappointing that we’re down 8% from last year, this is a remarkable number when you take into account that inventory is down as much as it is. Average Interest Rate – The slow, steady rise continues. Even though rates continue to inch up, when looking at them in historical perspective, they are still incredibly low at 4.6%. Median Days on Market – It’s hard to believe that homes are now going under agreement in less than 2 weeks. The only price category where we find ourselves in a Buyer’s Market is homes over $500K. Even then, the months of inventory continues to decline. Homes between $120-200K are flying off the shelves with an absorption rate of less than two.